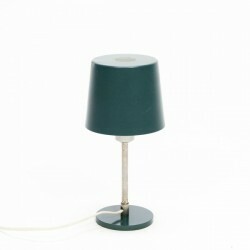 Vintage design table lamp made in green metal. 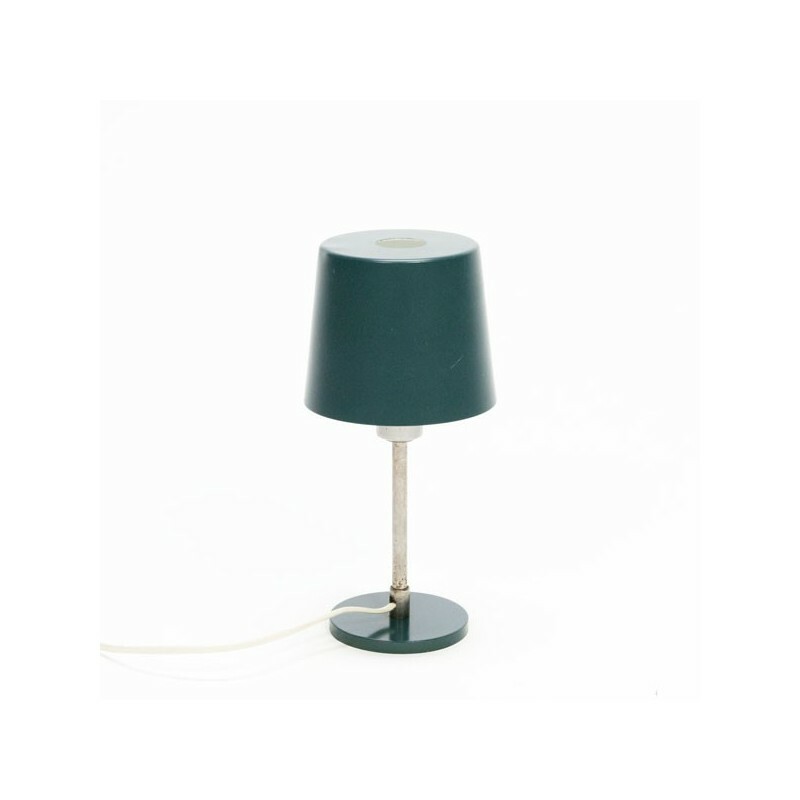 The small lamp is designed in the sixties. In the hood is a very small dent (see photo). The condition is, beside the small dent, good. The size is 25 cm high and 12 cm in diameter.